Sunday baking here at Km Zero Tours! What a better way to spend a lazy rainy Sunday than cooking delicious healthy recipes? 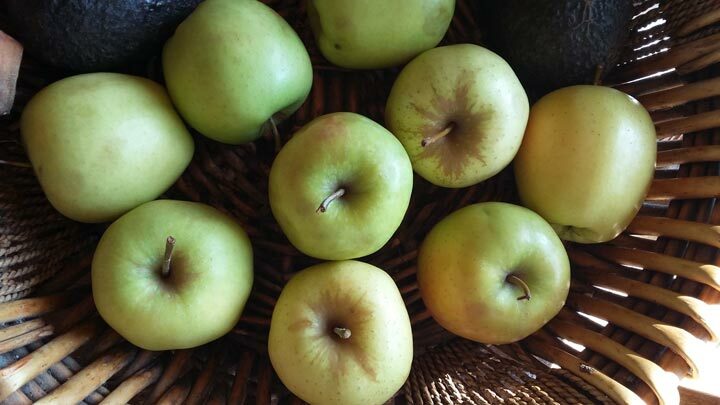 A fresh, fragrant and tasty “torta di mele” ( = apple pie) is ready to be cut on our table, who’s going to join us? Wash the apples, peeled and take out the core. Cut the apples into wedges and put them to soak with a little sugar and lemon juice in a bowl. Whip the egg yolks with the sugar until you get a light cream and frothy. Beat the egg whites until stiff and embed them gently into the whipped egg yolks and sugar. Add to the mix the previously sifted flour, melted butter and warmed milk. Stir and mix well. Reduce 2/3 of the apple slices into smaller pieces and mix them. At the end add the sifted yeast and mix well to the dough. Pour the mixture into a greased baking sheet sprinkled with sugar with a diameter of about 24 cm. 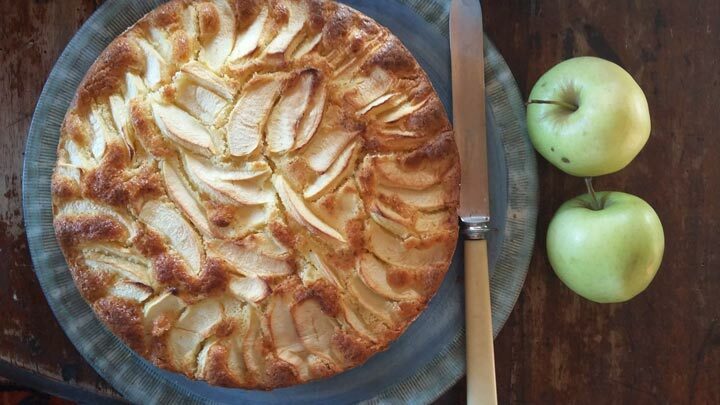 You can decide how to best decorate your apple pie, the dough should be sufficiently dense so that you can place the apple slices remained over the entire surface without sinking into the cake. Cook the apple pie in a static oven for about 40 minutes at 180 °C and buon appetito! If you love the Italian recipes and want to learn all the secrets behind it comes and see our “The Living Kitchen” experience in Tuscany. You will begin your culinary experience at the sources, having the unique opportunity to learn directly from experienced producers about the origin and the value of raw ingredients. You will then move into the kitchen, where local chefs will teach you how to best use and combine them in order to create fabulous “farm to table” recipes. Are you ready to create “hands-on” the perfect Tuscan dinner? Click here.